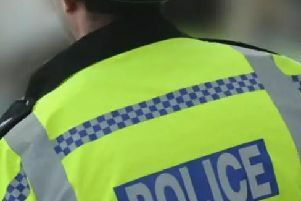 An assault on a 59-year-old woman, who had a glass thrown at her head in a city bar, has prompted a police appeal - two months after the incident. At around 11.40pm on Sunday, March 22, the victim was involved in an altercation between two groups of men in Revolution Vodka Bar, in Marlborough Gate, CMK. CCTV: Do you know this man? One man threw a glass which hit the victim, causing cuts to her head that required stitches at MK Hospital. Thames Valley Police has released CCTV footage in the hope that the man in the picture will come forward. PC Justin Cohen said: “This was a nasty attack which will not be tolerated in our community. If you have any information, please contact PC Cohen on the 24-hour Thames Valley Police enquiry centre non-emergency number, 101. If you don’t want to speak directly to the police contact Crimestoppers anonymously on 0800 555 111 or online at Crimestoppers.